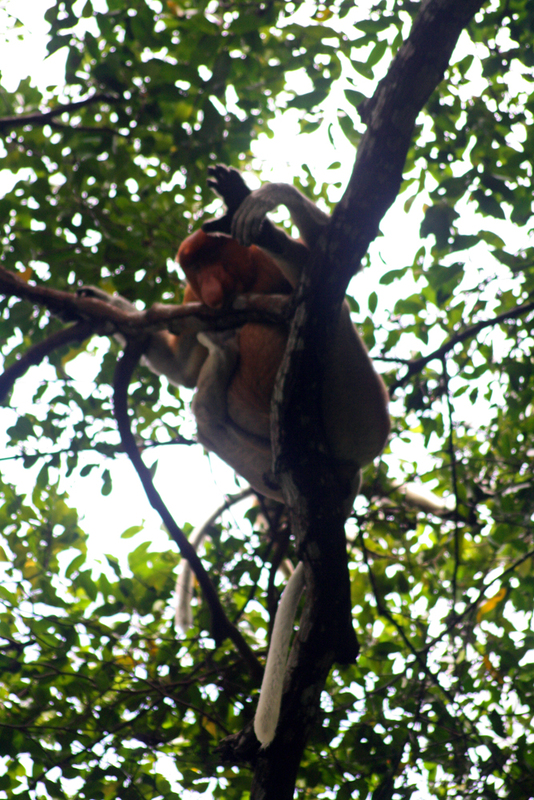 Gong Xi Fa Cai – Happy Chinese New Year of the Monkey! Today people in China, Japan, Korea, Mongolia, Taiwan and Vietnam celebrate Chinese New Year, also known as the spring festival. It is the most important day of the year for the people in these countries equally important as Christmas for Christians all over the world. Chinese New Year is a family festival which takes 15 days, although most people don’t celebrate that long. People who come from these countries often travel hundreds and thousands of kilometres to celebrate Chinese New Year with their families and try to make sure to be at home one day before. 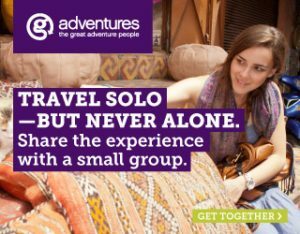 Sophie Rose recently wrote that “it is estimated that 2.91 billion journeys” are made for the spring festival this year. If you want to travel in these countries at this time of the year you need to book your tickets months in advance. For many people Chinese New Year is the only time of the year where they get a chance to see their families and beloved ones. Other people use the public holidays to travel. Five years ago I spent Chinese New Year in Hongkong when the Year of the Rabbit was heralded. There were lots of visitors from China, Taiwan and other East Asian countries. I watched a colourful parade and an enormous fireworks the following day. It was an amazing experience but I bet it was totally different than celebrating the spring festival in Beijing or elsewhere in mainland China where I haven’t been yet during Chinese New Year. In Beijing there is the customs of the Beijing Temple Fairs which are celebrated during the spring festival for more than 300 years. Temple fairs are colourful folk performances. Folks wear traditional Chinese clothes and costumes, a variety of folk handicrafts are presented and local snacks are served. In former times the Beijing Temple Fairs used to take place at the White Pagoda Temple, the Flower Market, the Huguo Temple, the Longfu Temple and the Temple of Earth. Nowadays the most famous Temple Fair is still the Altar of the Earth Temple Fair, but there are also others like the “Dragon Pool Park Cultural Temple Fair, the Beihai Park Temple Fair, the Shijingshan Park Temple Fair, the Chaoyang Park Temple Fair, the Old Summer Palace Temple Fair, the Grand View Garden Temple Fair, the Taoranting Park Temple Fair, the Dongyue Temple Fair, the Lotus Pool Park Temple Fair, the Summer Palace Temple Fair” and the one in the Happy Valley Temple which is an amusement park. Different than New Year in western countries Chinese New Year doesn’t take place at the beginning of the year nor always on the same day because not our Gregorian calendar but the Lunisolar calendar is used. Chinese New Year is always held on a new moon between the 21st January and the 20th February. Each year relates to an animal of the Chinese zodiac with its 12 zodiac signs which reappear in a twelve-year-cycle. Today is the start of the year of the monkey. The monkey is the ninth of the animals of the Chinese zodiac. You are a monkey when you were born in 1908, 1920, 1932, 1944, 1956, 1968, 1980, 1992 or 2004. Take a look at this calendar if your birthday was in one of these years between the 21st January and the 20th February. Then you could still be born in the year of the sheep or goat. People born in the year of the monkey are said to be intelligent, inspirational, curious, dignified, optimistic, romantic, sociable, quick-witted, confident, agile and gregarious but could also be egotistic, vain, arrogant, selfish, deceptive, reckless, snobbish, stubborn, suspicious, manipulative or restless. If you are a monkey your lucky numbers are 4 and 9, your lucky colours are gold, blue and white, your lucky directions are north, northwest and west, your lucky days are the 14th and the 28th of any month of the Chinese lunar calendar, your lucky months are the 8th and the 12th month of this calendar and your lucky flowers are chrysanthemum and crape-myrtle. Find out here how to be and stay lucky in the year of your birth sign. One tip I was given by a correspondent of our newspaper and also when I was in China in 2013 during the year of the snake which is my zodiac sign is to wear red underwear or red socks. Maybe it is just a rumor but it is easy to do for everyone in the year of their zodiac sign. So if you were born in the year of the monkey consider to go shopping for red socks or red underwear. This year is going to be an awesome year for Chinese – a lot of good luck! :) I’ve already sent my Chinese friends some best wishes and they are all excited about 2016. BTW, I’m one of the biggest monkey fans :). Are you planning to get back to China? Happy New Year to you to. Seems from your pictures that you’ve spent a lot of time with monkey’s! Hi Lily La, happy belated Chinese New Year to you as well. 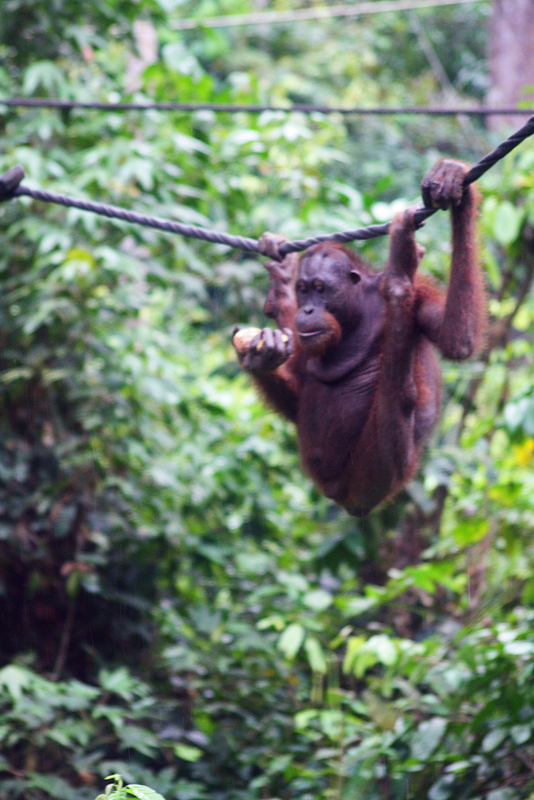 I didn’t really spend a lot of time with monkey but I visited Borneo of course to encounter the wildlife. 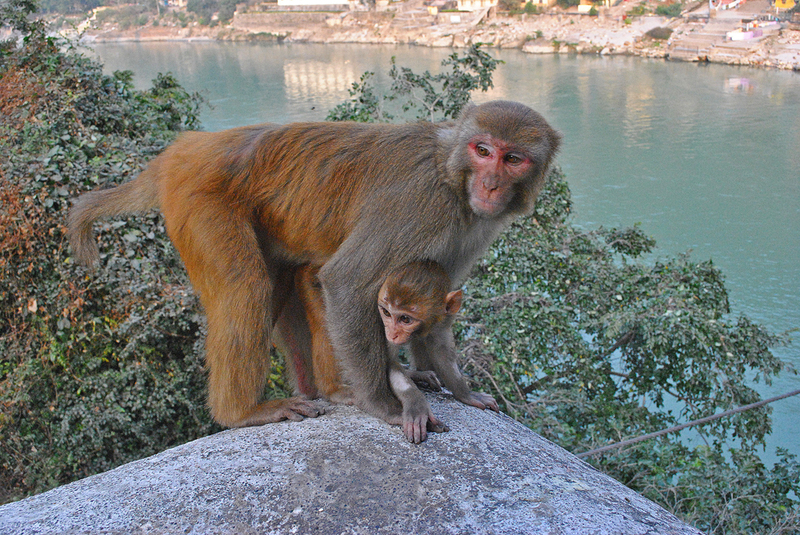 And in Rishikesh there are lots of cheeky monkeys as well as there must be in Ubud. You really have to watch out for your stuff in these places.